After various attempts, Aston Martin won Le Mans 24 Hours in 1959 with Carrol Shelby and Roy Salvadory at the wheel of an Aston Martin DBR1. 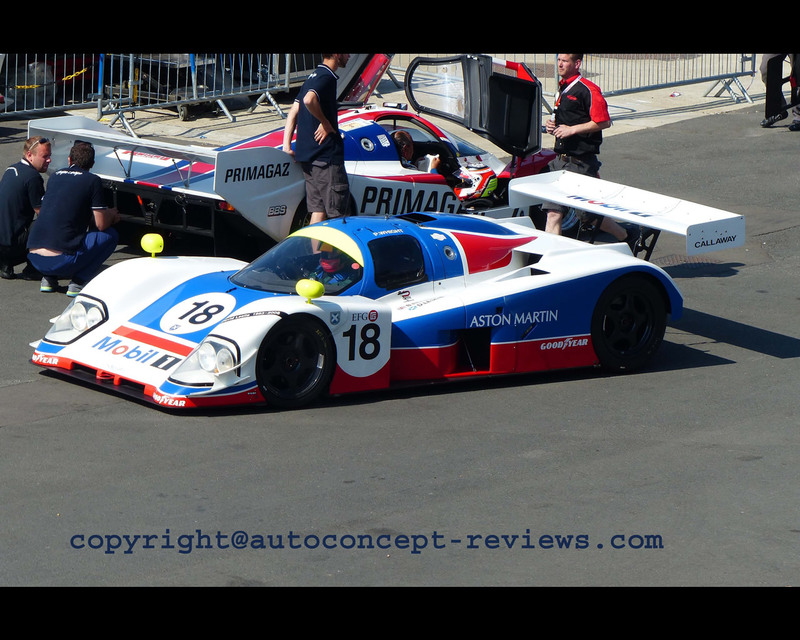 Other tentatives later occured with the Lola T70 Aston Martin in 1967 and the Nimrod Aston Martin in 1982. In 1987, Peter Livanos, main shareholder at the Company and Chief Executive Officer Richard Gauntlett decided to prepare a Group C endurance race car for the return of Aston Martin in competition with the target to participate at 1989 Le Mans for the thirtiest anniversary of Shelby and Salvadory win. Ray Mallock was engaged to build the car. Max Boxstrom was in charge for the design team. The 6 Litre V8 Aston Martin engine was prepared by Reeves Callaway adopting a twin overhead camshaft heads to generate a maximum 685 hp at 7700 rpm. Max Boxstrom developed the aerodynamics at the wind tunnel at MIRA in England. 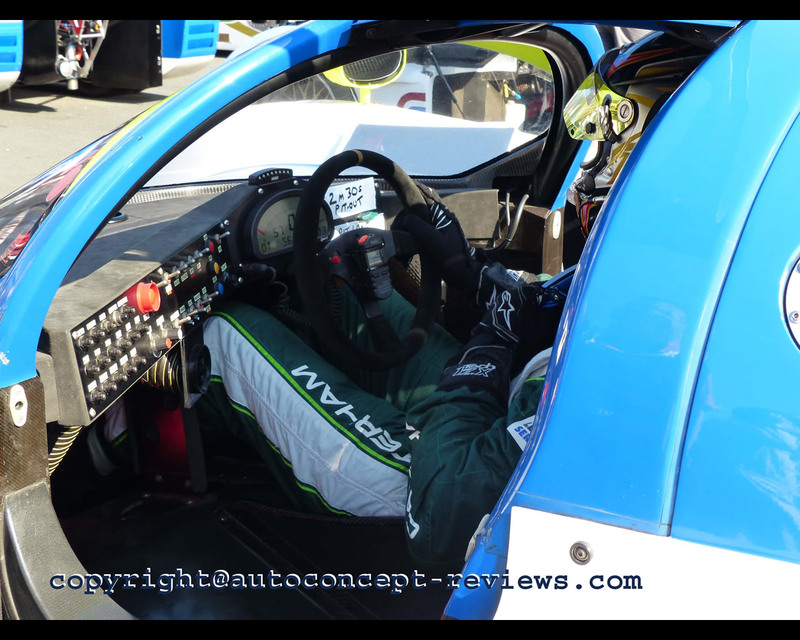 The result is quite radical with a conical zone in front of the rear wheel and a massive front fender with cut out back to drive the airflow around the front wheel toward this conical element at the base of the door. The result was downforce at high speed but drag was quite important. Drag at high speed induces higher fuel consumption. The engine was tilted and the gearbox was mounted inboard in order to allow a single ground effect diffuser. Two cars were built with carbon fibre/kevlar monocoque and were entered in several races in 1989. 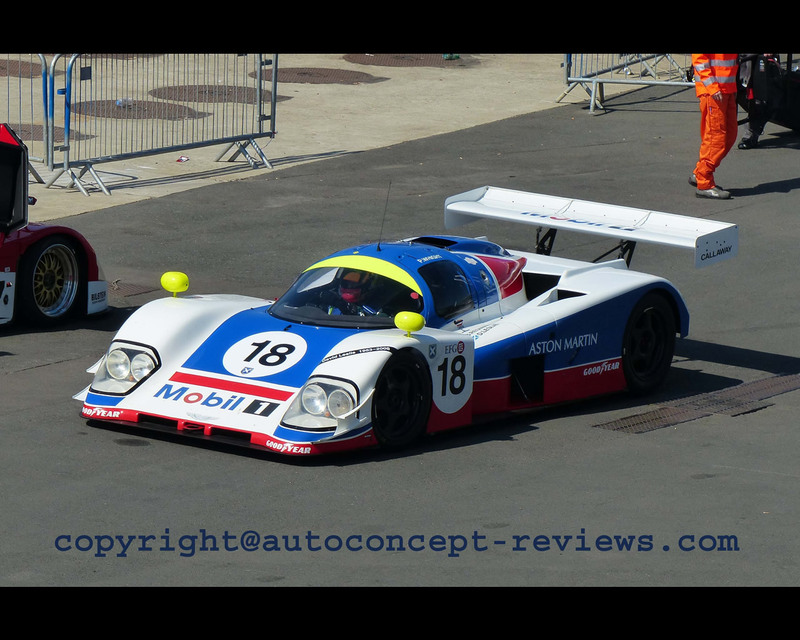 Two Aston Martin AMR 1 were entered at 1989 Le Mans events with one finishing in eleventh position after several lenghty pit stops while the other did not finish the race due to electrical problems. The Aston Martin AMR 1 made 14 entries in eight events with the best result being a fourth position at Brands Hatch. 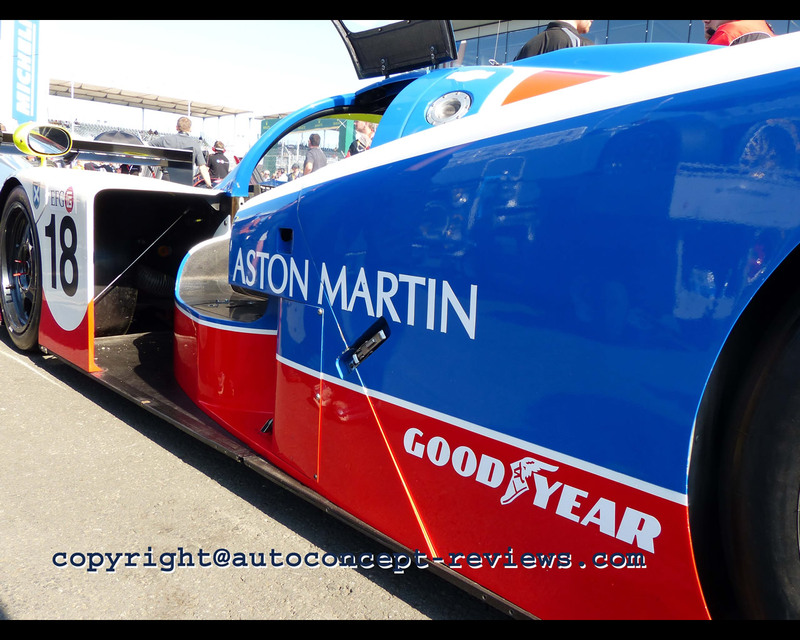 One Aston Martin AMR 1 was proposed at RM Auctions at Monaco in May 2014 but only reached a high bid of Euros 600.000. Including the development prototypes, four AMR 1 have been manufactured. The Aston Martin AMR 1 pictured here participates in historic racing car events and was entered for the introductory historic race before 2014 Le Mans race.